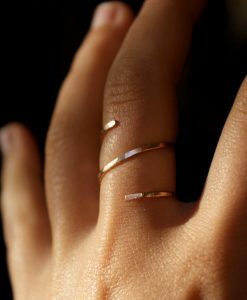 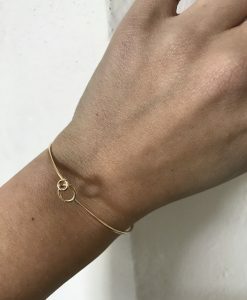 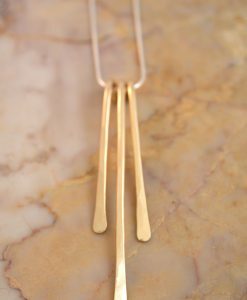 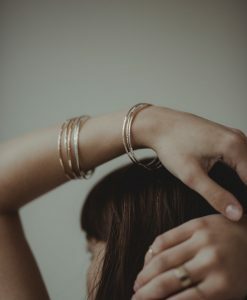 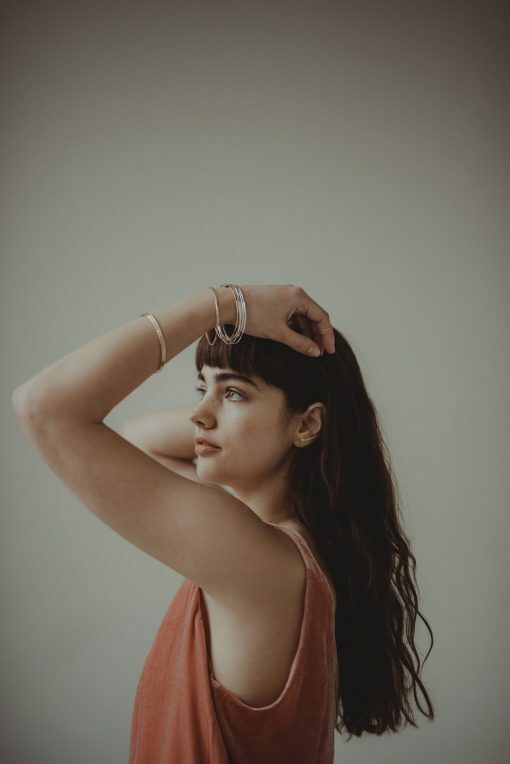 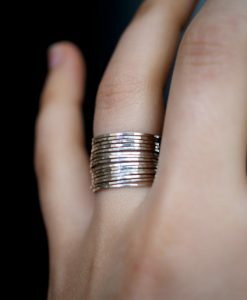 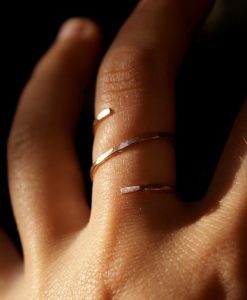 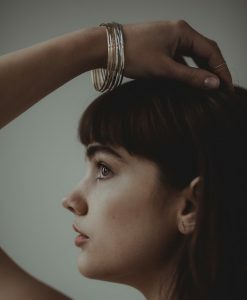 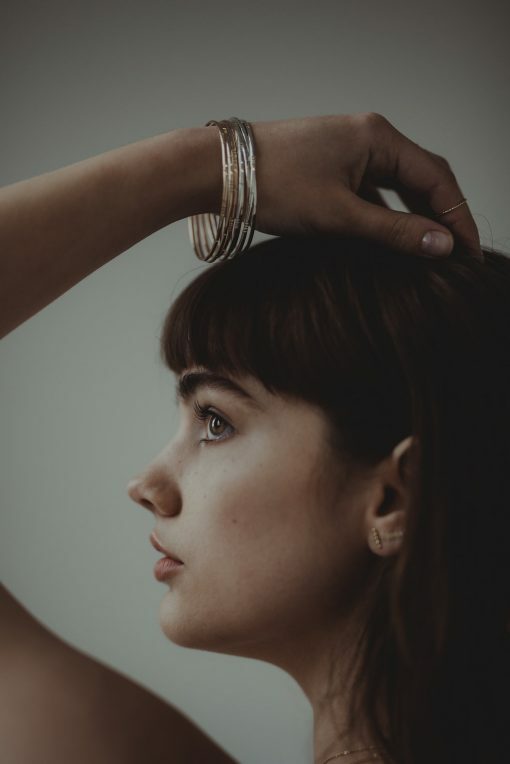 A great complement to my popular “ultra thin” stacking rings, each skinny bangle is individually cut, soldered and polished for a beautiful hand-crafted, high-quality bracelet. 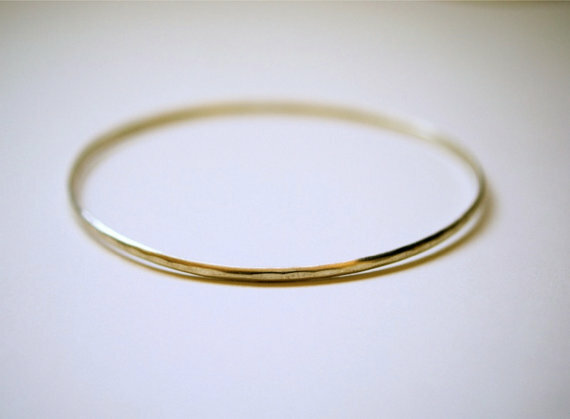 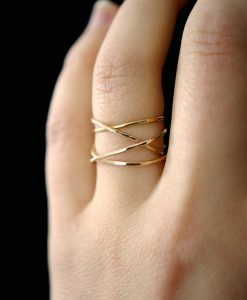 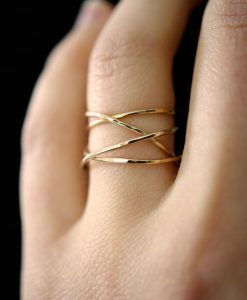 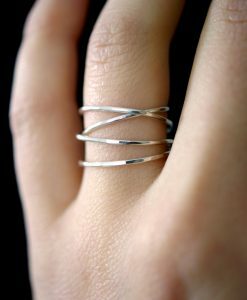 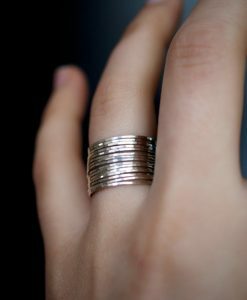 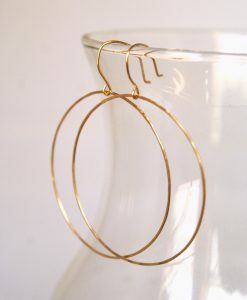 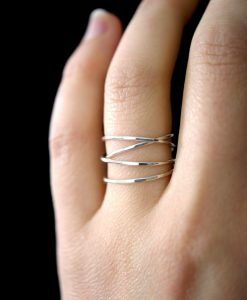 This skinny bangle makes a great complement to my popular “ultra thin” stacking rings. 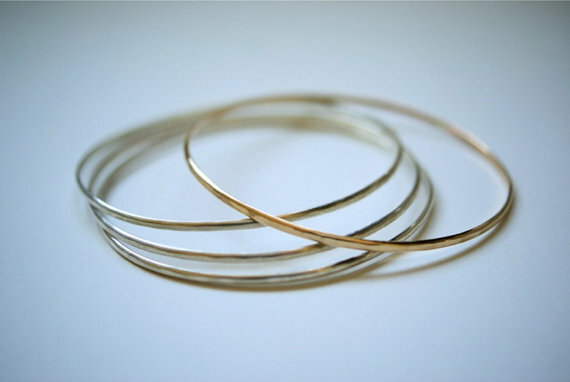 Each bangle is made by myself in my Portland, OR studio. 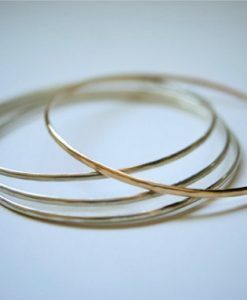 Each skinny bangle is individually cut, soldered and polished for a beautiful hand-crafted, high-quality bracelet. 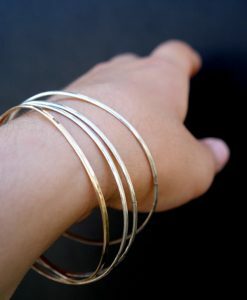 I gently hammer each bracelet for an extra sparkly texture (see last photo for hammered detail). 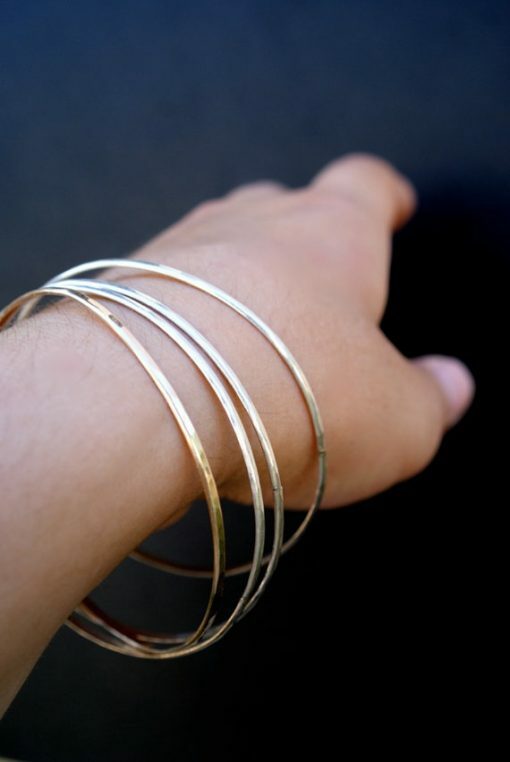 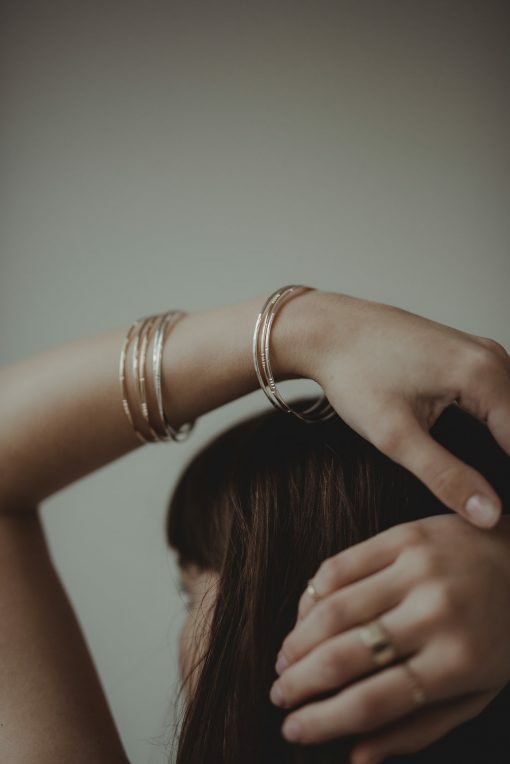 These bangles look great stacked up in a set! 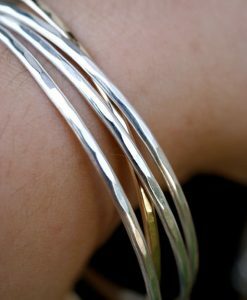 The bangle pictured is 2.5″ in diameter. This listing is for ONE SINGLE bangle. 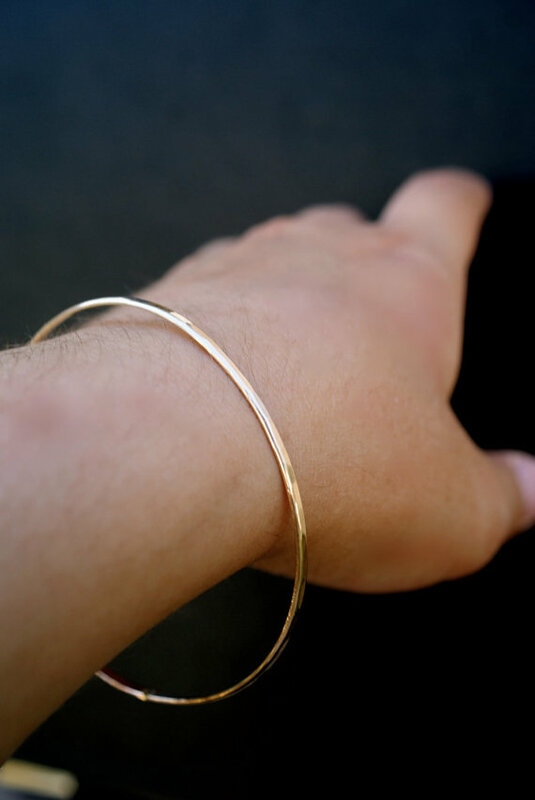 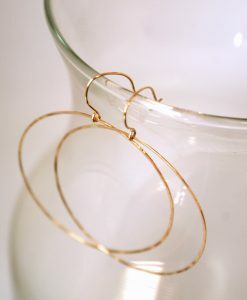 Each bangle is made of thin, 14kt gold-filled metal. 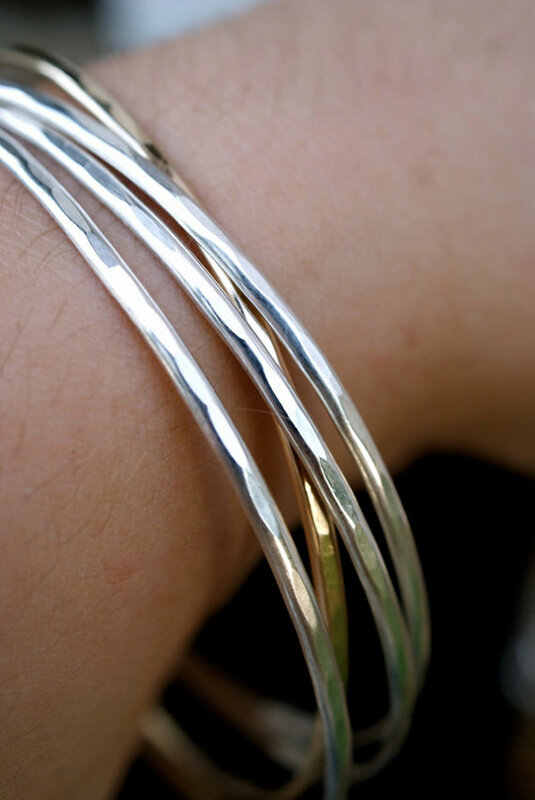 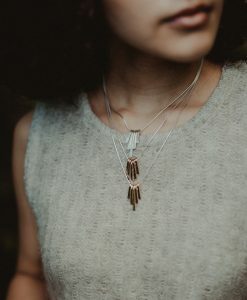 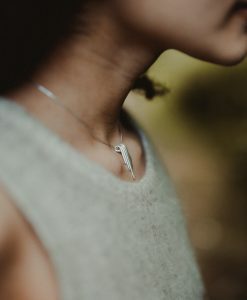 Every piece is organic and unique — no two bracelets are exactly alike. 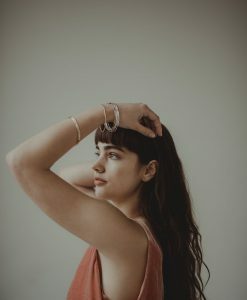 2.25", 2.35", 2.5", 2.65", 2.75"